Ready for a thrill? Welcome back to the blog, Luana Ehrlich! 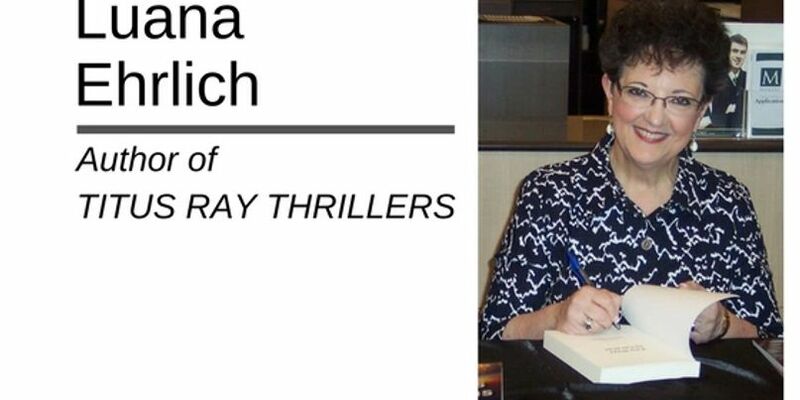 Luana is an award-winning author, minister's wife, and former missionary with a passion for spy thrillers and mystery novels. She began writing the Titus Ray Thriller Series when her husband retired from the pastorate. Now Luana writes from an undisclosed location (I like a good mystery), where she tries to avoid the torture of mundane housework, golf stories, and grocery shopping. 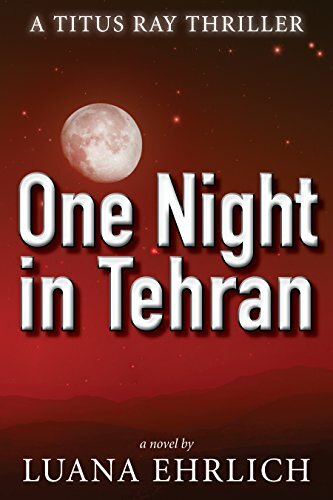 One Night in Tehran is the first book in the Titus Ray series. Who is Titus Ray, you ask? Titus Ray is a veteran CIA covert intelligence officer who's spent most of his career at the Agency assigned to the Middle East desk. During that time, he's been involved in some of America's most clandestine operations, assignments he's taken in order to keep the nation safe from terrorists or from anyone else out to destroy the "land of the free and the home of the brave." Veteran CIA officer Titus Ray--on the run from the Iranian secret police--finds shelter with a group of Iranian Christians in Tehran. While urging Titus to become a believer in Jesus Christ, they manage to smuggle him out of Iran to freedom in Turkey. Before leaving Langley, Titus learns he's been targeted by a Hezbollah assassin hired by the Iranians. Now, while trying to figure out what it means to be a follower of Christ, he must decide if the Iranian couple he meets in Norman, Oklahoma has ties to the man who's trying to kill him, and if Nikki Saxon, a local detective with an intriguing past, can be trusted with his secrets. So who wants the chance to win a prize? Luana Ehrlich and I have partnered up to give away two things - one lucky Giveaway Guy reader will win a $40 Amazon gift card and another winner will get a paperback copy of One Night in Tehran! 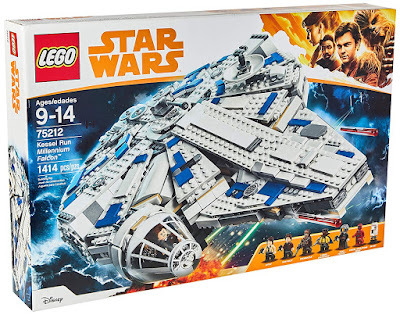 This giveaway is open to users in the U.S. only. Two winners will be randomly selected via Rafflecopter, which I will contact by email after entries are verified. The winners will have 24 hours to respond, otherwise a new winner will be selected. Win a $100 Amazon gift card from Your Money Geek! Win a Layla mattress in the size of your choice!